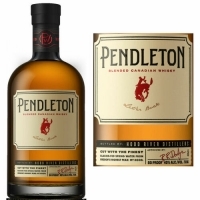 Pendleton Whisky is a super-premium blended Canadian Whisky. Uncommonly smooth taste with a rich, complex flavor. Made using glacier-fed spring water from Oregon's Mt Hood.